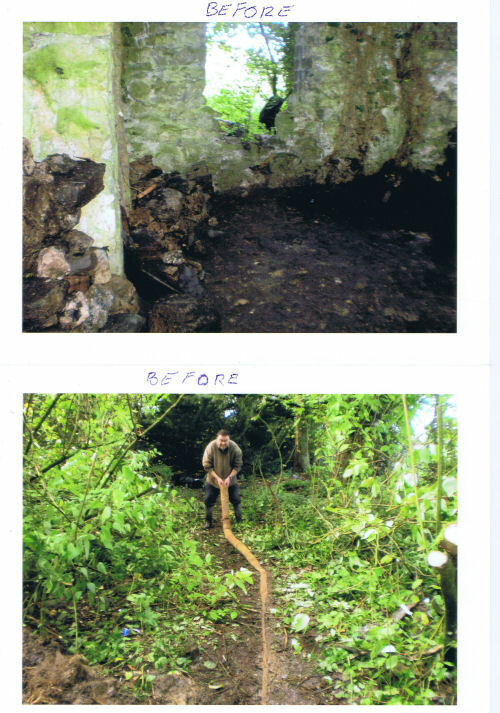 When the volunteers arrived on site the old bath house was very clogged and the water was running sluggishly. 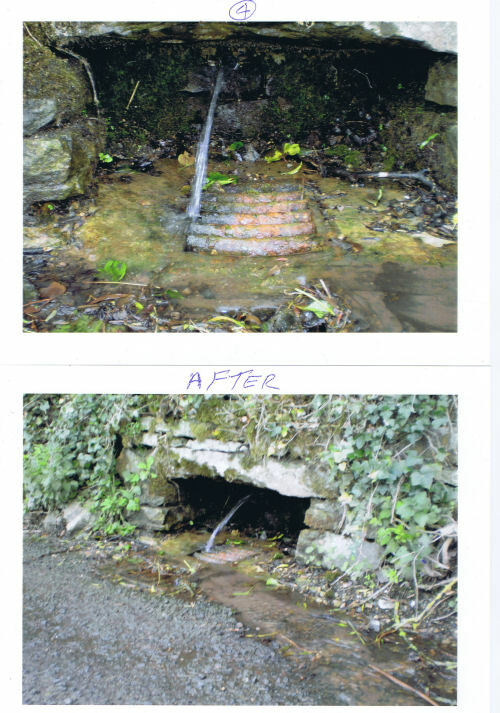 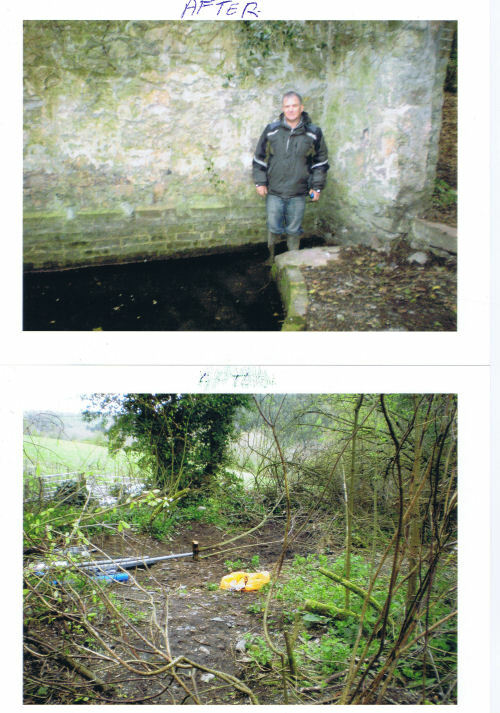 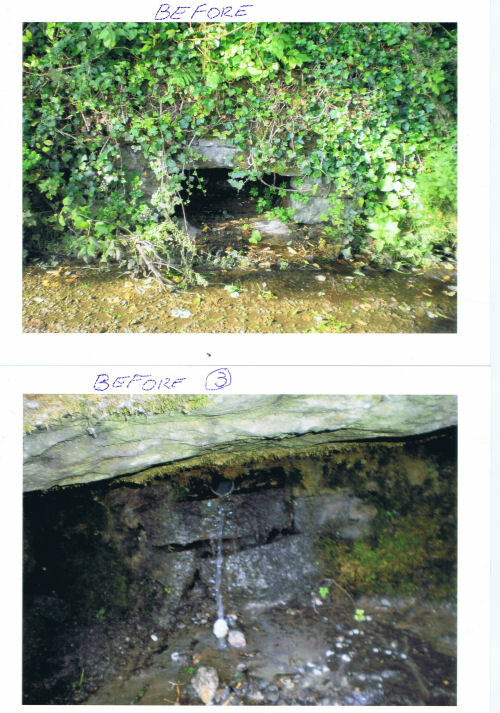 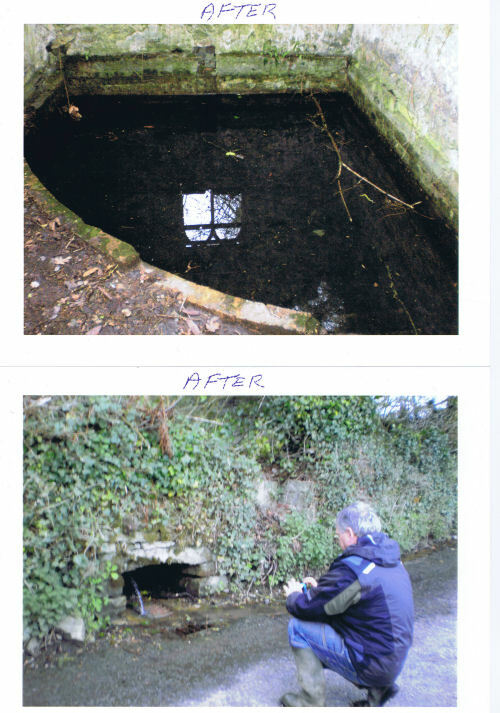 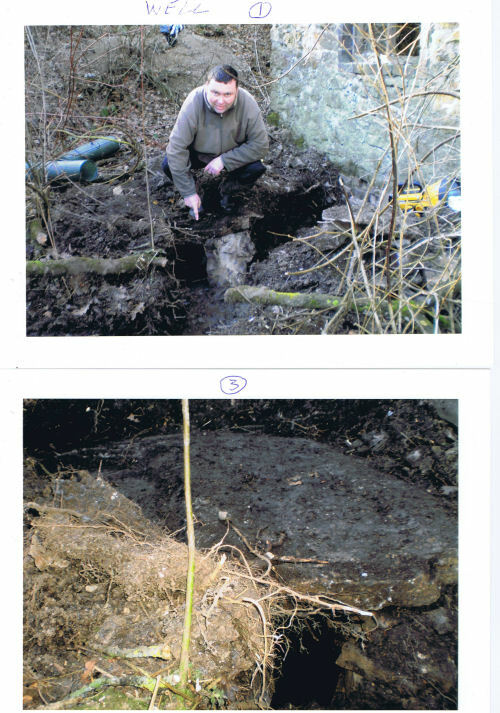 You will also see on these photographs what we call a hidden well. 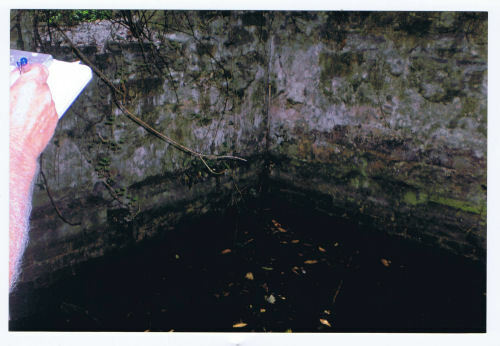 You will see one of the guys pointing to the opening of the well which we got into. 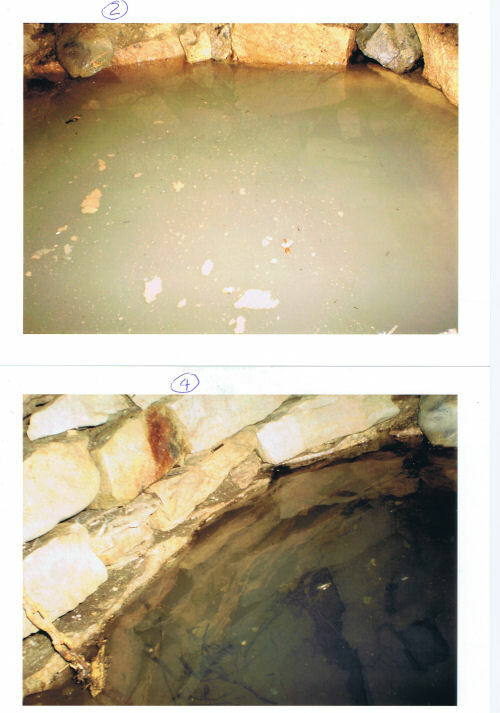 The photographs of the well inside are numbered 2 & 4 and were taken in a matter of a few minutes apart.